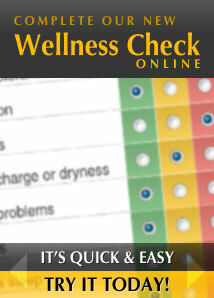 Please fill out the Wellness Check Questionnaire below to the best of your ability. It generally takes 3 to 5 minutes. When completed, you’ll be able to print your results and bring them to Chana for further evaluation. Just click on the icon and you will be brought to the questionnaire.